1. Set out four high ball glasses. 2. 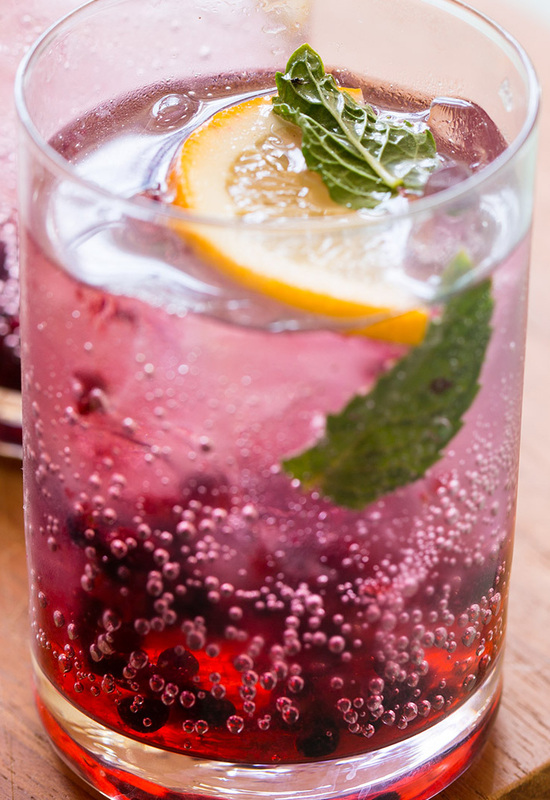 Place 3 blackberries, 5 mint leaves, juice of ½ lemon, and 1 tablespoon simple syrup in each glass and muddle together. 3. Fill each glass with ice, followed by 3 ounces of gin. Top off each drink with tonic water, stir and serve.